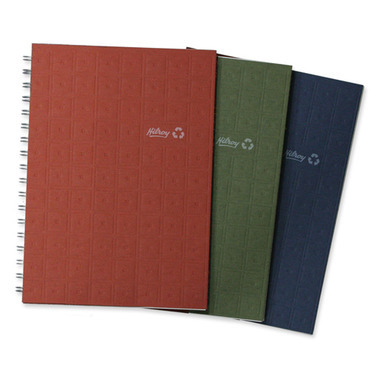 Recycled notebook features twin-wire binding to open a full 360 degrees and lie completely flat. Provides perforated college ruled pages printed with nontoxic, water-based ink. Paper, cover, backboard and binding wire contain post-consumer recycled material.